Fit4Mom Lou Review... From a Dad! We may be all about that mom life but we sure love the amazing dads that support the women that make our community so special! 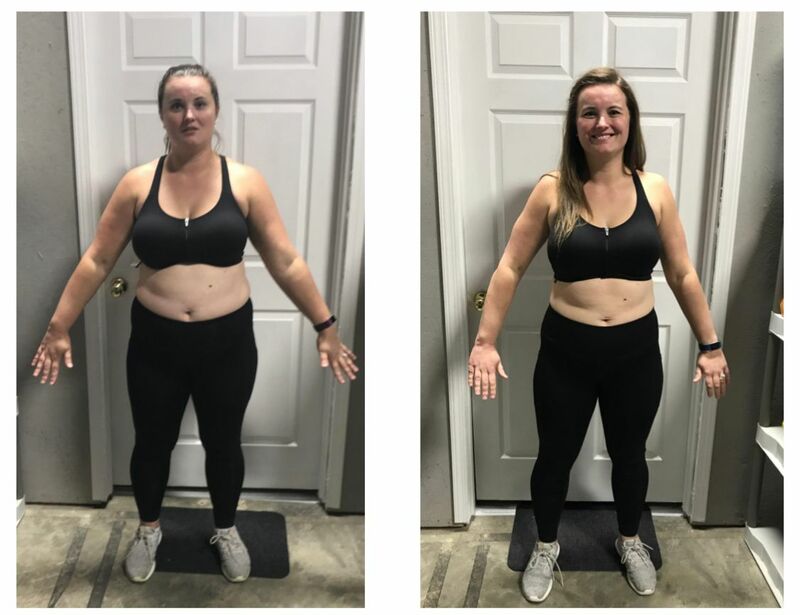 This week, we are putting a new spin on our Transformation Tuesday with a little input from the spouse of one of our recent Run Club and Body Back grads, Ashley Gonzalez. Ashley joined our Run Club program in August after she found out a friend of hers had signed up. Little did she know at the time, but that decision made somewhat on a whim would have a profound impact on how the months to follow would unfold. One of her fellow Run Club mamas had just finished Body Back with results that wowed our entire Village! That was the push Ashley needed to make a change and she enrolled in the next session of Body Back right away. Fast forward a few months - lots of hard work, meal prepping, and dozens of workouts and miles later, Ashley has her own set of amazing before and after photos to share. 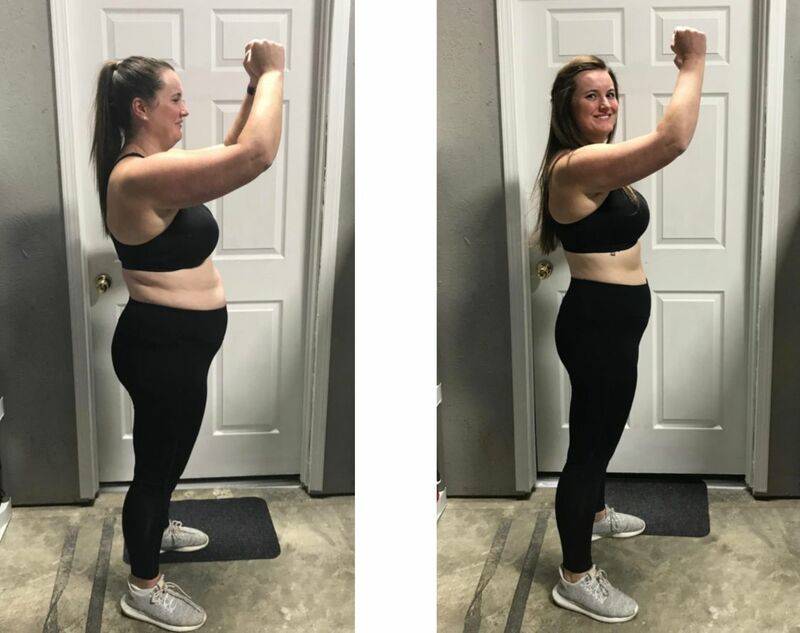 In just 8 weeks, she lost nearly 30 pounds! We couldn’t be prouder of all she accomplished. Hard work pays off! 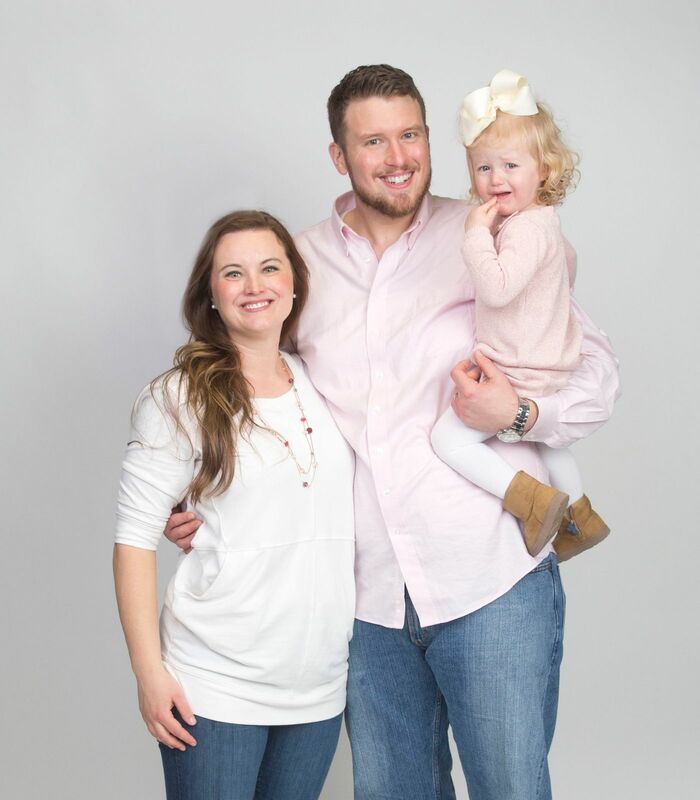 “After a year and half of various challenges for Ashley and myself, she had come to terms with PPMD, gotten some medication to help calm her nerves and fears and decided she wanted to tackle her fitness for both herself and our family. We were extremely fortunate to have Run Club let her take baby steps toward preparing for Body Back, and also for having some friends who had participated before and vouched for the program. Seeing another Mom’s transformation was the last motivation for her and she decided to jump in. Still trying to lose a little weight myself and be supportive, I decided I would do my best to stick to the meal plan for Body Back and help her with shopping, prepping and staying on track. Working together made the food portion of the program more fun and I think easier on her (except for prepping which took longer)! Otherwise, we teamed up to try and eat better. Ashley was an absolute sweet addict so this was a massive challenge for her as she went through sugar withdrawals right away in week one. Once she got over it and started to see her results though, she was hooked on the program and able to stave off any temptation. The group and coaching aspects of the program were also essential to her success. Having people she could turn to for support, advice and even just to vent seemed to have a huge impact. Though she and I got in a few tussles about her being on her phone too much, I knew it was for a positive reason and that she was working hard to stick to her program. We have received countless positive feedback from family and friends with multiple people asking about “our secret” or what kind of diet we were on and we have praised Body Back and the Fit4Mom program endlessly. It is by no means an easy endeavor, takes commitment and support along with understanding that Mom won’t be home some nights or some mornings, but the short term commitment to resetting our lifestyle will pay off long term more than I can imagine. We feel completely changed, recommitted to living healthily for ourselves and our child.